The face-to-face marketing opportunities at Chamber events allows businesses to start relationships with an unlimited number of new clients and customers. These events are also a great place to strengthen or renew relations with existing customers or clients. Creates Customer/Community Loyalty – Your sponsorship and support of local community events builds rapport and increases the odds of your customers recommending your business to friends and other members of the community. 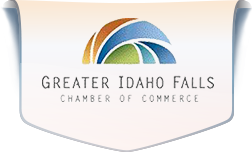 Advertising/Publicity – Chamber events are highly publicized and so are their sponsors. Exposure in print, in the media, and at the program or event ensures heightened sponsor brand recognition among a targeted audience of business owners, executives and Chamber members. Demonstrates Civic Engagement – All businesses play an important role in the framework of a community and accept a portion of the responsibility in making sure that the community stays healthy and whole. Your involvement in community events exhibits your concern for the community and has a favorable effect on your business. Association with High Profile Businesses – Companies that desire to be coined “Industry Leaders” welcome the benefits of being associated with important business events and programs. Chamber events are among the top places to gain name recognition with professionals, executives, managers and other business decision makers. • Opportunity to showcase your business to area business leaders. • Recognition as host in all pre-event communication including newsletter, e-mail, and verbal announcements. • Recognition in all pre-event communication including newsletter, e-mail, and verbal announcements. • Featured Business trade display table. • Five minute program spotlight to educate the audience about your business. • Exclusive opportunity to distribute promotional items/materials to attendees. • Opportunity to provide door prize(s) for that day’s event.